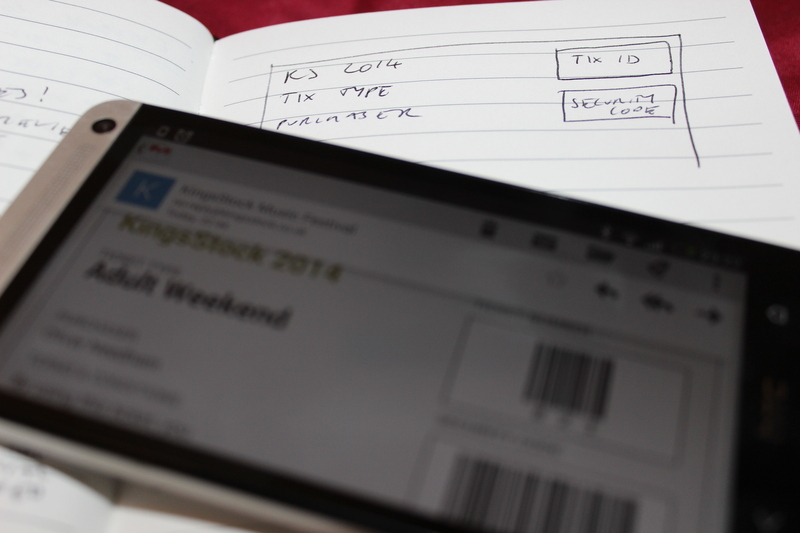 Tomorrow, tickets for KingsStock 2014 go on sale. And part of my work this evening was to setup the email which punters receive when they buy their tickets from our website. To get an idea of what I wanted, I drew it out on paper with a pen. Something I tend to do a lot as part of the creative process. I just like to get things out of my mind and onto paper in some shape so I know what I’ve got aim for. Tonight’s drawing was pretty much spot on.